Last week, in Baltimore, at the conclusion of a conference about planets and definitions, two astronomers faced off in what was termed the Great Planet Debate. I missed the conference, and thus missed the debate, but, nonetheless, courtesy of a press release supplied by one of the participants, I can already declare a winner by default. As I have said earlier, there is important science in classification, and that science is really not much of a subject of debate. Everyone can agree which objects in the solar system are dynamically dominant. Everyone can agree which are round. Everyone can agree which are rock or gas or ice. The only debate is about which of the many different important classification schemes should get to use that magical word “planet” to describe its members. And that debate is merely aesthetic, not scientific. So the “Great Planet Debate” is merely a debate about aesthetics, which I guess is OK, but, in my opinion, unlikely to be terribly Great. But, according to the press release, the astronomer who was arguing against the current 8 planet definition wants, instead, to use a definition that says that anything round is a planet, and thus there should be 13 planets. Suddenly there could be a scientific debate here, and this astronomer should be crushed. Everything round is a planet and there are thirteen round things? Where did that come from? The planets would be the familiar Mercury through Pluto, for nine. Ceres, the largest asteroid, makes ten. Charon’s moon makes eleven, and my two discoveries, Eris and Makemake, make 12 and 13. Regardless of your opinion of whether or not this is a fitting definition of the world planet, this is bad classification, and thus bad science. So how many round things are there? We don’t actually know the answer to that, since most of the objects in the Kuiper belt are so far away that we can’t see their shapes. Pluto and Charon have been measured to be round, so they count. Eris is assumed to be round because it is more massive than Pluto. Makemake has a poorly measured size and no known mass (it has no moon, which is the only way to measure a mass), but it is big, so probably massive, so probably round. So what about other objects in the Kuiper belt? We can’t see them well enough to determine whether they are round or not, but we can estimate how big an object has to be before it becomes round and therefore how many objects in the Kuiper belt are likely round. In the asteroid belt Ceres, with a diameter of 900 km, is the only object large enough to be round, so somewhere around 900 km is a good cutoff for rocky bodies like asteroids. Kuiper belt objects have a lot of ice in their interiors, though. Ice is not as hard as rock, so it less easily withstands the force of gravity, and it takes less force to make an ice ball round. The best estimate for how big an icy body needs to be to become round comes from looking at icy satellites of the giant planets. The smallest body that is generally round is Saturn's satellite Mimas, which has a diameter of about 400 km. Several satellites which have diameters around 200 km are not round. So somewhere between 200 and 400 km an icy body becomes round. Objects with more ice will become round at smaller sizes while those with less rock might be bigger. We will take 400 km as a reasonable lower limit and assume that anything larger than 400 km in the Kuiper belt is round. How many objects larger than 400 km are there in the Kuiper belt? We can't answer this question precisely, because we don't know the sizes of more than a handful of Kuiper belt objects, but, again, we can make a reasonable guess. If we assume that the typical small Kuiper belt object reflects 10% of the sunlight that hits its surface we know how bright a 400 km object would be in the Kuiper belt. Currently there are about 60 objects this size or larger in the Kuiper belt (including, of course, Eris and Pluto and Makemake), and one (Sedna) in the region beyond the Kuiper belt. We have not yet completed our survey of the Kuiper belt. Our best estimate is that a complete survey of the Kuiper belt would double this number. For now, the number of known objects in the solar system which are likely to be round is about 70, with the number increasing as the survey of the Kuiper belt is completed. Beyond the Kuiper belt there may be even more dwarf planets than in the Kuiper belt. Our best guess is that the region where Sedna resides could contain another ~2000 round objects. So the victory in the Great Planet Debate goes, by default, to the 8 planet side. Whether or not you like the aesthetics of the 8 planet side, you have to disqualify the everything-round-is-a-planet side for thoroughly mangling the science of their own classification scheme. This is not to say that an 8 dynamically dominant planet definition is better than a ~70 round planet definition, but there can be no debate that an 8 planet definition is vastly superior to a 13 planet definition based on bad scientific classification. How can this fundamental mistake have been made? Surely if you believe in the utmost importance of things being round, you would at least try to understand what was round and what was not, right? My speculation (some would say “paranoid speculation”) is that this was done on purpose. There is no doubt that the astronomer arguing the everything-round definition knows that there are many other round things. So why would he pretend there were not? Because, I suspect, he knows that arguing for 13 planets sounds more palatable than arguing for 70 planets. Arguing for 13 planets makes it seem like stingy astronomers are just being mean to the 4 being excluded. Arguing for 70 makes you seem a bit of an extremist. There are good aesthetic arguments that can be made for the 70 planet everything-round definition. Make them! Argue them! Have a lively aesthetic debate! But don’t start by getting the science wrong. Particularly if it is being done on purpose. "There are good aesthetic arguments that can be made for the 70 planet everything-round definition. Make them!" How about this: For small bodies, the dynamical definition means that by the time the body clears its neighborhood, it has cooled to the point where planetary processes have ceased. A hand-wavy example is Mars. I don't think its fair to assume the number of planets is being low-balled on purpose. If the IAU had accepted the original proposal there would now be 13 officially recognized planets. The moons used as examples of round objects near 400 km have factors other than just their size, which may have contributed to there being round. Mimas and Enceladus are in resonance with Tethys and Dione respectively. (Or likely were at sometime in the past) In Enceladus's case this has generated enough heat to produce the geysers near the south pole. In Mimas's case it may have produced enough heat to soften the interior helping along the process of reaching hydrostatic equilibrium. Miranda has the chevrons which hint at some energy source not expected in an object its size. The two explanations I’ve seen are a past resonance with Ariel or being shattered and reassemble on a time scale of roughly 1000 years which I assume is much faster than a kuiper belt object would have accreted. In it he describes some criteria he uses to determine if an object is round. Among them are using light curve to either determine the roughness of the object or to estimate the density by modeling the object as a Jacobi ellipsoid. Two of the objects: (84922) 2003VS2 and (55637) 2002UX25, he rejected using these criteria have been estimated diameters using the Spitzer space telescope of 600km or 700km. Does main belt asteroid 90 Antiope qualify as "round"? That is part of the concern with the everything round is a planet idea. There will be objects that are 400 km in diameter that are round (icy) and objects that are ~700km in diameter that may not (rocky chunks?). I am confident that this is the reason that the IAU currently requires an absolute magnitude of +1 to be called a plutoid (for naming purposes). Even assuming a high albedo (and thus surface ice) the smallest plutoids (for naming purposes) will be in the 800+ km range. 2002VS2 and 2002UX25 both appear to have low albedos suggesting that they may have lower ice content. But it still seems logical to use a nice round 400 km for determining *potential* dwarf planet candidates. How do you call a body that orbits around a planet? A satellite. It doesn't matter if it's round or not, if it cleared its surroundings or not. Pan and Titan are both satellites of Saturn. Saturn has 52 of them and it's likely that there's a lot more. Everything that orbits around Saturn, or any other planet, is called a satellite. No ambiguity here. Why isn't there a word, only one, that describes everything that orbits around stars? I guess the answer has something to do with history. Before humans were able to figure out that anything can orbit the sun, they observed Mercury, Venus, Mars, Jupiter and Saturn and called them planets, which means "wandering stars". Now, we're stuck with a word that doesn't describe a body orbiting a star, but a star that moves! Every description of a planet is doomed to be arbitrary, because scientists are trying to classify objects within a group without having named that group. It's like if they were trying to name dog species without having figured out the larger concept of what is a dog. I think we need a generic word that would describe a "body orbiting a star". The rest would be a matter of classification. Sure enough, there'll be arguments about classifications, but science will be involved instead of politics. Plutoid, for me, is politics. Dwarf planet is politics. If all these celestial bodies were givin a generic name, they'll be all equals. Then we could begin to do some science. (Sorry for my poor english. My main language is French). "We have the terminology "dwarf planet" which lets us make a distinction between the round objects orbiting the sun and objects which are not round. Why don't we have simular terms for satellites of a planet or dwarf planet? Large round satellites like Titan deserves a title like "giant moon". It just isn't right to use the same term for Titan that we use for Deimos." I think it speaks for itself. The arbitrary about the description of a planet is creeping his way into the description of a satellite! Differentiation is a much better metric than roundness. The most useful definition of a planet is that it is a place where planetary processes occur. And most planetary processes are ultimately caused by density-driven mass movement. If a body is denser in the middle than on the outside, then the dense stuff must have moved to get to the middle, and or the light stuff floated to the top. So a round object with I/mr^2 less than 0.4 is a good definition of a planet. And once you get into orbit around your candidate planet, it isn't that hard to calculate. 1) It will be a long time before we can visually confirm if most 600km kuiper belt objects are round. 2) If we discover 50+ Sedna like candidates most of them may never be orbited by a spacecraft. So it is more practical to use a generic roundness test. I don't think you should be declaring a "victor" in this debate, especially since you were not present for the entire three-day conference, which involved far more intense discussion about planet formation, migration, composition and dynamics than did the Tyson-Sykes debate, which was more show than substance. Nobody at the conference was arguing in favor of 13 planets in our solar system. In fact, the general consensus was that the number of planets the solar system has is inconsequential, as it is likely to be in continous flux and change regularly as we discover more about these smaller objects. On numerous occasions, scientists supporting the roundness criteria stated they expect--and have no problem with--the existence of hundreds of planets in our solar system. The number 13 was used only because it encompasses both the eight classical planets and the four objects recognized as dwarf planets. No one viewed that number as THE set number of planets. Also, an important point raised by Dr. Alan Stern is that the issue isn't roundness itself, but hydrostatic equilibrium because objects massive enough to attain this state experience differentiation and geophysical processes just like those of the major planets and unlike those of the inert asteroids. The difference in how large a rocky object versus an icy object needs to be to attain hydrostatic equilibrium is only a few hundred kilometers. Everyone acknowledged that we still do not know the mass of many objects in the Kuiper Belt. Those who argued in favor of roundness recognized that for many such objects, more time and research is needed before we can accurately classify them. In the interim, they can be considered candidate dwarf planets if we can roughly estimate their size as large enough to be round. Also, there was almost no objection to the term dwarf planet to classify objects that do not dominate their orbits, provided that dwarf planets are included as a subcategory of planets, something precluded in the IAU planet definition. The arguments for 70 or 200 or more planets were made many times. I don't see how you can argue that the science in this debate was wrong or that the roundness definition was promulgated "on purpose." This conference was not about who wins. It was an open dialogue in which two differing perspectives of viewing the solar system--and potentially other solar systems--the dynamical and the geophysical, were presented in depth. The organizers certainly did a better job than the IAU did two years ago in its closed, byzantine process that resulted in a vague, sloppy, and linguistically nonsensical planet definition that begs to be overturned. If I understand what Daniel is suggesting. Everythung that orbis the sun is a planet. The IAU's planets would be a subcategory of planets, perhaps we could use the term major planets. The IAU's dwarf planets would be a second category, maybe we should use Isaac Asimov's term meso planets. For the IAU's small solar system bodies we could continue to use the term the term minor planets. 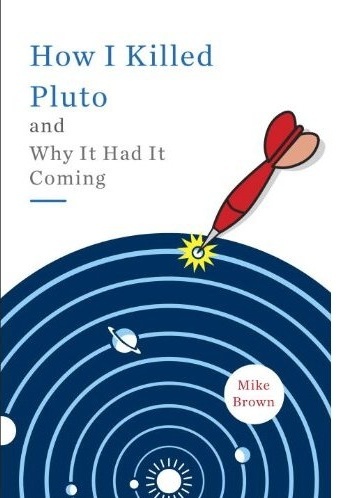 I'm not sure what we gain, other than making a few people happy that Pluto is a planet. Pluto is clearly not a major planet, but if you want to call it a planet, or dwarf planet be my guest. Daniel, do you really mind if I refer to Titan as a major satellite and Pan as a minor satellite of Saturn? All I'm saying is that we need the higher "taxinomic rank" in the "biological classification" of planets. It doesn't exist yet. And because of that, there's a tedious debate. It's not just semantics. When the IAU put Neptune in the "planet" category and Pluto in the "dwarf planet" one, it seems arbitrary because it sounds like one is more important than the other. If everything that orbits the sun had the same status, but belonged to separate classes of objects, most of the planet debate would be, for the most part, over. There's no satellite debate that I know of. What are we trying to describe when we name something a "planet"? Was the IAU trying to describe round objects that dominate their orbits around the sun ? No! It was trying to settle a controversy: is Eris a planet or not? The IAU concluded that there is multiple classes of objects in the solar system, and Eris wasn't in the same group as Neptune. The IAU then established that Neptune was a planet, something that sounds like a "major" category. And that Eris and Pluto were "dwarf planets", something like a subcategory. Hence the anger of Pluto lovers. My question is; in what category do Pluto, Neptune and Eris belong? They sure have something in common, don't they?!? Isn't it incredible that this "supra" category is not define by the IAU? So, I don't care if Pan is a minor satellite and Titan a major one. In fact, we never had this debate, cause the definition of a satellite is clear. That said, I like the major, meso, minor planet concept. If it encompasses all celestial bodies that orbits around stars, we have a starting point. Good science is suppose to be simple and elegant, The IAU definitions are not. Daniel, if the IAU had done this right, dwarf planets would be considered a subclass of the broader term planet, which would be an umbrella term encompassing all objects in hydrostatic equilibrium that orbit stars. Only those objects that have enough self gravity to have pulled themselves into a round shape (and orbit a star) should be classified as planets. Shapeless rocks are asteroids or planetoids. Eris may not be in the same subcategory of planet as Neptune but that does not mean it is not a planet at all. It is just a different kind of planet. Using a system of multiple subcategories does not establish any type of hierarchy; it just distinguishes these objects based on various characteristics, including ability to dominate their orbits. Dwarf planets are far more similar to other classes of planets than to asteroids. It's too bad the IAU has been unable to create what really should be a very simple classification scheme that incorporates both the similarities and differences of these objects. As for moons, those that are round should be considered secondary planets while those not large enough to be round are satellites that are also asteroids. Asteroids are suppose to orbit the Sun. I have often wondered if Planets should be a sub category of Asteroids. When you look up at the night sky and see the Planet Jupiter, to the naked eye it just looks like a very bright "star like object". Then both Pluto and Jupiter could be asteroids. I think one thing that is influencing my opinion is what we are discovering outside our own solar system. For example: What will we classify a newborn system where the eventual planets haven't cleared out their orbits yet? Pre-planets? Whatever is to be decided needs to be open to what we may find out there (as well as here). Not to mention since planets move, what if the orbit it's currently in isn't where it started (perhaps even ejected from its parent star and lost in the void between stars). Does that make it any less a planet? I really HATE to propose this idea, but maybe Star Trek had it right with all those Class M planets, etc. Would there be a way to do that type of classification without using words like Major, Minor, Dwarf, etc. For example: a terrestial planet with a breathable atmosphere (Earth) could be a Type 1 planet while one with a non breathable atmosphere (Mars) could be a Type 2. And build on from there. With any luck classifications and scientific nomenclature will probably change again. With science we always make new discoveries that cause us to change the way we think about our current knowledge (and classifications). In my opinion, (oh, how everyone has an opinion), Laurel and Dave suggested the best answer: broader categories with subcategories. That's more objective to me than a black and white 8 planets or 70. I too think Star Trek had it right! Again next new object -called 2006 SQ372 on very prolongated elliptical orbit,..very close to perihelia,…where orbit looks to be close to time of precession cycle,…..Where are bigger planetoids behind Pluto, Pluto, Neptune included now!? All those are close to their extremes of their orbits!!!! I made my conclusions. Probability to have all planetoids close to perihelia, or aphelia (without proper reason) is less than 1:100000!!!! It was so, it is 1:1000000 now???!!! Many astronomers say that to see distant objects,..it is the easiest when those are close to perihelion and that they stay the longest time close to aphelion, yes but those objects are too close to perihelions, aphelions and some orbits are not too excentric and even though planetoids,,..are to close to extremes of orbits. Those appearant eliptical changes of planetoid's orbits are circa more than 40 percent opposite to real nearly circular orbits so it corresponds to that 0,5km/s amendment to orbital speeds of planetoids. That 0,5km/s amendment is also speed of Sun with indoor,…planets toward X what corresponds to X with mass 25Jupiters approaching to perihelia in distance 1,8mld. km from Sun. If you can give other solution for those facts so please give them here. If you you have no explanations for those facts so your arguments are only bla bla bla,….2. I am from Slovakia. There was (in July 2007) absolute temperature maximum during history of all measurements in Slovakia (40,3C) and in the most of Central European countries. Last 12 months were 3C above average. There are very often catastrophic floods, super strong blasts of winds (3years ago nearly whole High Tatras were deforested by such strong wind,…). Once there are periods of nearly catastrophic dry months, in the next months are floods. In such or in other forms there are big changes over the whole Globe. Climate scientiests had forecasted some years ago, that north ice cap would lost some big part of its area in 2040. Japan scientiests had found it is so in this summer, not in 2040. Why is it so?! There is clear significant amendment of man activities (deforestation, burning of fosil, non fosil, new big industrial areas covered by concrete, asphalt,…). But is it all? Accelerating Solar activity-max. per. 8000 years now?! Jupiter in aphelia in 2011, the strongest solar maximum per last 400 years - forecasted on 2011, 2012 even by official astronomers. Sun’s axis is also approx. in plain pointing on Orion,…Sun’s, Moon;s eclipses are in March, September now - around equinoxes, what show that also knots of Moon’s path /main axes of Moons orbit show on Orion,..Eclipses (in 2011,2012 ) will be during end of December and close to Venus transit time! As of Feb. 6, Pioneer 10 was about 92.12 astronomical units (AU) from the Sun and headed towards the constellation Taurus.The discrepancy found that Pioneer 10 and 11 were each about 240,000 miles (400,000 kilometers) closer to the Sun than they should be according to the current understanding of gravity. Pioneers slowing (400,000km, or 1000x more!?) when these probes are circa 14mld. km from us show, that gravity of that body (X) causing this disproportion is 10x mass of Earth or even 30mass of Jupiter?! Why is source of that extra gravity pointing to Sun? It is so, because X is now much more closer to Sun than are Pioneers now! and many other facts speak that we have in solar system not only tenth Xena, but also something much heavier till 25 Jupiters-maybe micro black hole? !,black dwarf star,…?! and that objects is approaching perihelia,.. I made detailed simulations in WinOrsa and they show, that it is possible! People too much trust to official scientiests. Look on Venus cycles-Mayan Codexes handle with them preciously. There are enough written messages about what happened circa 11500 years ago, 13000 ago. Plato, Menetho,..spoke about it too, they mentioned exact date (9500B.C. ), what coincidence with GISP2 data, graphs- it is written in ice core too (Gisp2, Vostok projects). North pole shifted 15-20 degree, mamoths were frozen to -70C, but with subtropical, savannah food in stomaks,….Big earthquakes, vulcanoes explosions - coincidence with Venus cycles/transits (Krakatoa-1882,416 A.D.). People think, that X if such planet exist must significantly perturb orbits of planets, it must be clearly visible. Yes it is so, but only when X is close to perihelia. Deformations on orbits of planetoids, of Pluto - offic. scientiests considered to be normal, but it is stupidity. Look on Jupiter, Venus- how massive and close are these planets to Earth and what are perturbancies caused by these planets on Earth,…too small. X is 2x farther then Jupiter now, if X will be in perihelia in 2012,…. People also know too little about various secret projects, researches, labs. There are many scientiests involved, but we don’t know results of such researches, though we common people pay it. for example those infos from ACIO project (wingmakers.com) about BST technologies,….jumps into various causal points of time,-projects going behind-advancing Philadelphia experiment-Montauk project,…. they-Dr. Neruda, Anderson speak about 2011-point where is difficult to go behind,….there are pictures-painting describing very probably arrival of X to perihelia,…. official point of view of usas government is,” if there will be some body endangering Earth we will prevent people from to know it, due not to panic,…bla bla, bla” It was published in ofic. newspapers. there are some data but given with very unclear and not properly given reasons for dicrepancies,delays,…. It is forecasted in the last time that there are many more brown, t- dwarf stars then normal sun-like stars, so where are these?. They are nearly invisible in space among bright stars. It is possible only with super strong telescopes to discover them and with bit of good luck. So also in the last years there were discovered next brown,..stars close to Sun in distances to 20LY,…. X, Nemesis are not unprobable but very probable objects,….very cold super densty, but small 100-1000km in diameterand so nearly invisible..
Did Star Trek ever orbit a Planet that did not have a substantial atmosphere? It seems like Star Trek was always focusing on Earth and Mars like planets that had a thick enough atmosphere to support some kind of life. Thus it appears that Star Trek never dealt with "what the IAU currently call plutoids" that were too far from their star to have a full time atmosphere since their eccentric orbits would basically cause the atmosphere to be frozen to the surface most of the time. It seems to me that the Star Trek Planets would have all been given Major Planet status. Star Trek also seemed to never show (minor) moons that were not large enough to be spherical. "What will we classify a newborn system where the eventual planets haven't cleared out their orbits yet? Pre-planets?" The moon-to-mars sized objects hypothesized to have amalgamated into the 4 terrestrial planets during the first 50 million years of solar system history are generally referred to as protoplanets or planetesimals. One theory about 4 Vesta is that it is one such opbect that got scattered int othe asteroid belt.